We are a group of pen and paper gamers who meet weekly to play varied games in New York's Capital Region. Although our current games are being run using Savage Worlds, we have also played Dungeons & Dragons (3.5e and 4e), Adventure!, Call of Cthulhu, HARP and RISUS. The current roster is 6 members. Sean - - DM of the Savage Tide and Hellfrost campaigns. 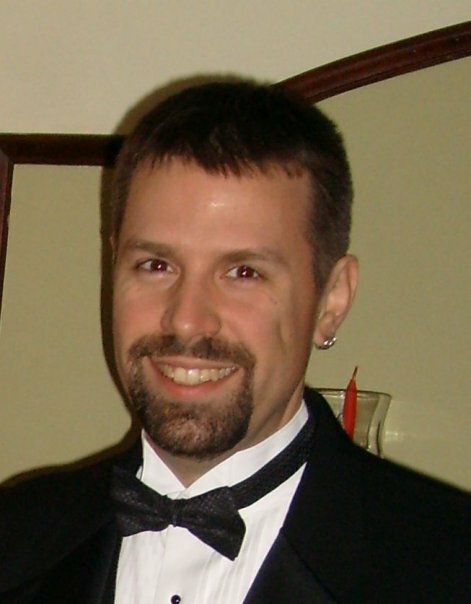 Steve - - Player (Savan, Wynn), logger of adventures and site editor. We generally meet Thursday nights from 5:30pm until 10pm at the residence of one of the members. The night of the week we meet occasionally changes based on member needs, but we stick to Tuesday, Wednesday or Thursday. Ersa - This is Sean's homebrew campaign world. Hellfrost - Our testing of the Savage Worlds rules to be used in an ongoing sandbox game (like Ersa!). We played through The Lair of the Vermin Lord (Module N1), and the system was well received. Savage Tide Adventure Path (STAP) - Currently on hiatus, an intriguing world full of Pirates, Barbarians, and Wizards alike! We stopped about halfway through The Lightless Depths to move toward running the Ersa sandbox game. Keep on the Shadowfell - We played 4e just to see what it is like. We pretty quickly decided it didn't work for us as a whole system, but there are some golden ideas that could be plundered for other games. Every group and GM has some house rules that make the game 'theirs'. These are the ones that make it 'ours'. The details on how to join us are described here, in the New Members section. Contact information can be found here.